The UK edition uses metric and imperial measures. The US edition uses US cup measures. Christmas is a busy time in the Claus household: toys need to be made, presents wrapped and lists of who has been naughty or nice checked. 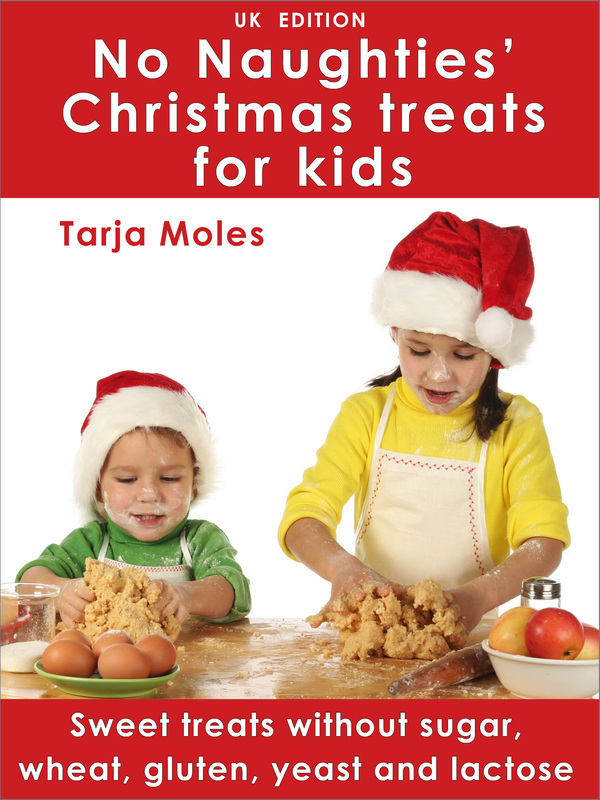 It’s also a time for baking all sorts of delicious Christmas treats. This year Santa and Mrs Claus have decided to make their treats without any ‘naughty’ ingredients. This way everyone can enjoy the festivities. All recipes are suitable for children (of all ages!) who need to avoid sugar, wheat, gluten, yeast, soya and peanuts. In the UK, Canada and other countries where it's possible to buy lactose-free cream and other dairy products, all the recipes can also be made lactose-free. As it's difficult to find lactose-free cream in the US, not all the recipes can be made lactose-free there. The book also includes recipes that are free from dairy, casein, nuts and corn. All recipes are vegetarian. All measurements in the UK edition are in metric and imperial units and in the US edition in US cup measures. No Naughties shows that making 'free-from' treats with children is easy. Multiple food intolerances don't have to mean a boring diet. It's perfectly feasible to prepare and enjoy delicious treats - and inject sweet magic into your Christmas!